Ans: Srila Prabhupada writes in his purport to sB 3.15.25 that when one is free from all ten of these offenses in chanting the holy name of God, he develops the ecstatic bodily features called pulakāśru. Pulaka means “symptoms of happiness,” and aśru means “tears in the eyes.” The symptoms of happiness and tears in the eyes must appear in a person who has chanted the holy name offenselessly. 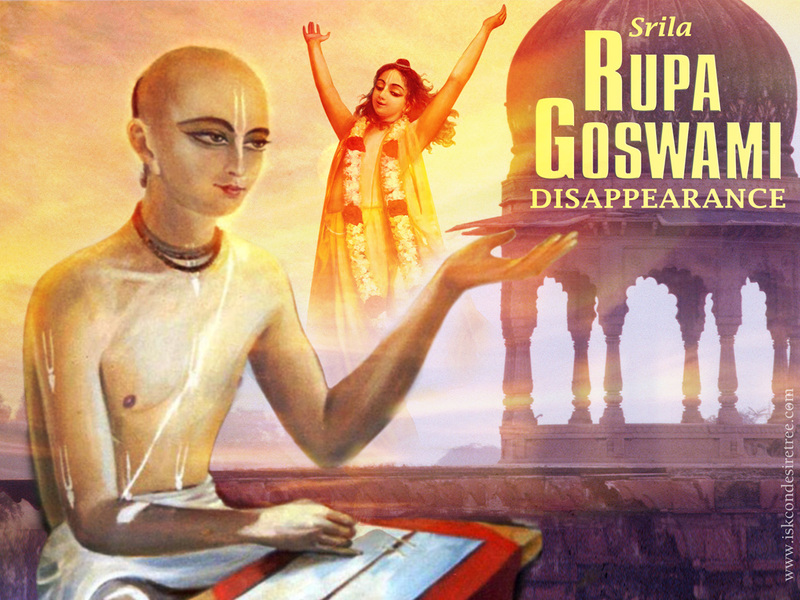 Srila Prabhupada writes in purport of SB 3.15.31 `In this verse it is figuratively stated that the younger brother of desire suddenly appeared in person when the sages were forbidden to see their most beloved Personality of Godhead. The younger brother of desire is anger. If one’s desire is not fulfilled, the younger brother, anger, follows. Ans : Srila Prabhupada writes in purport of SB 3.15.31 `In the previous verse it has been clearly mentioned that the Kumāras were liberated persons. Viditātma-tattva means “one who understands the truth of self-realization.” One who does not understand the truth of self-realization is called ignorant, but one who understands the self, the Superself, their interrelation, and activities in self-realization is called viditātma-tattva. Answer: Yes, Prabhupada writes in the purport of SB 3.15.33`Harmony or disharmony is realized because of the law and order of a particular place. Religion is the law and order of the Supreme Lord. In the Śrīmad Bhagavad-gītā we find that religion means devotional service, or Kṛṣṇa consciousness. Kṛṣṇa says, “Give up all other religious principles and simply become a soul surrendered unto Me.” This is religion. When one is fully conscious that Kṛṣṇa is the supreme enjoyer and Supreme Lord and one acts accordingly, that is real religion. Anything which goes against this principle is not religion. Kṛṣṇa therefore says: “Just give up all other religious principles.” In the spiritual world this religious principle of Kṛṣṇa consciousness is maintained in harmony, and therefore that world is called Vaikuṇṭha. If the same principles can be adopted here, wholly or partially, then it is also Vaikuṇṭha. 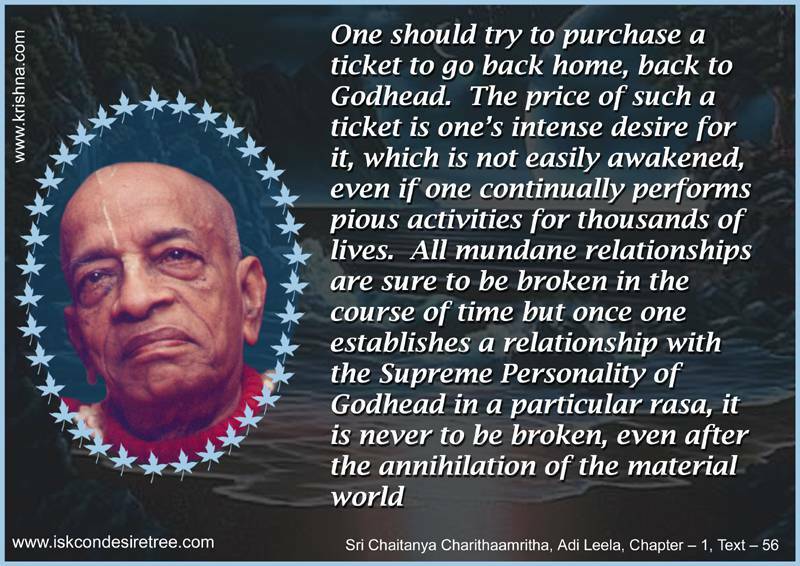 So it is with any society, such as the International Society for Krishna Consciousness: If the members of the International Society for Krishna Consciousness, putting faith in Kṛṣṇa as the center, live in harmony according to the order and principles of Bhagavad-gītā, then they are living in Vaikuṇṭha, not in this material world. All glories to the wonderful purports of Srila Prabhupada.